Acclaimed author and economist George Bernard Shaw once wrote, “Progress is impossible without change, and those who cannot change their minds cannot change anything.” Acura has recently demonstrated a commitment to this philosophy by replacing their chief executive in the middle of an especially good patch for company profits. Mike Accavitti, who was an executive with Chrysler before making the jump to Acura, was replaced after 16 months as head of the company by Jon Ikeda. The change in leadership comes on the heels of June sales that surpassed last year’s figures by 38.6%. Yet just as Accavitti was instrumental in bolstering sales in 2015, Ikeda will likely prove essential to Acura’s rise from 2015 forward. 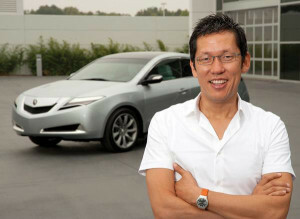 Ikeda is in many ways the personification of how Acura thinks about cars relative to its competition. While virtually all chief executives, including Accavitti, have the bulk of their experience in fields like finance, marketing, or communications, Jon Ikeda has spent his career as a designer. Ikeda was almost single-handedly responsible for the approval and creation of Acura’s design studio in Torrance, California, and many of Acura’s most recognizable and beloved cars, like the 2004 TL, were the product of his creative and artistic abilities. Ikeda has already demonstrated himself savvy at managing talent. He named Michelle Christensen exterior design project leader for the new Acura NSX, making Christensen the first ever woman to lead in the design of a supercar. As Acura looks to take a resurgence in sales into the second half of the decade that saw the car industry come back from the brink, Ikeda’s design pedigree seems perfectly suited to turn Acura’s vision for its future into reality. We love our current lineup, and we’re not alone there, but the opportunity to have a true visionary with such a rich knowledge of the company take the helm has us even more excited for Acura’s future than we were already. And when the NSX finally rolls up to our lot, we’ll have the head of the company to thank for choosing a gifted designer to take the lead!